At Dunning & Associates CPAs, LLC, we’re proud to have built a firm that is distinguished both in quality and uniqueness of service. 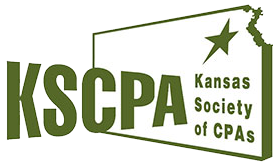 With more than three decades of experience serving the central Kansas business community, we combine traditional ethics and service with tech-savvy solutions that enhance and elevate our client service. We serve a diverse client portfolio—from not-for-profit organizations to businesses in the dental, medical, retail and construction industries. We understand that each of our clients has unique needs, so we work with you to develop customized solutions that allow you to focus on what’s most important—running your business. When you partner with us, you’ll experience a different CPA—one that helps you grow your business, re-shape your financial future and enjoy life to the fullest.